Valves are lanceolate with acutely rounded ends. The raphe is filiform. The central portions of the raphe branches and proximal raphe ends are deflected toward the primary side. Terminal raphe fissures are hooked towards the secondary side. The axial area is narrow and linear. The central area is asymmetric, "bow-tie" shaped on the primary side and crescent-shaped at the secondary side. 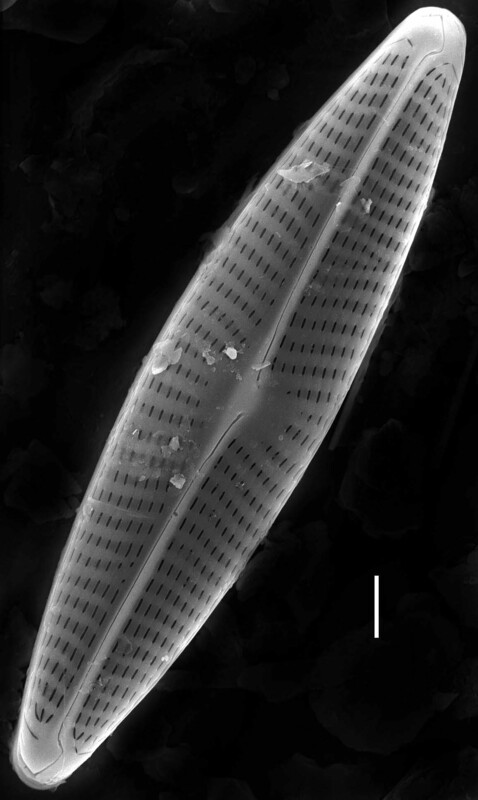 The lineolate striae are radiate, becoming convergent at the valve apices. 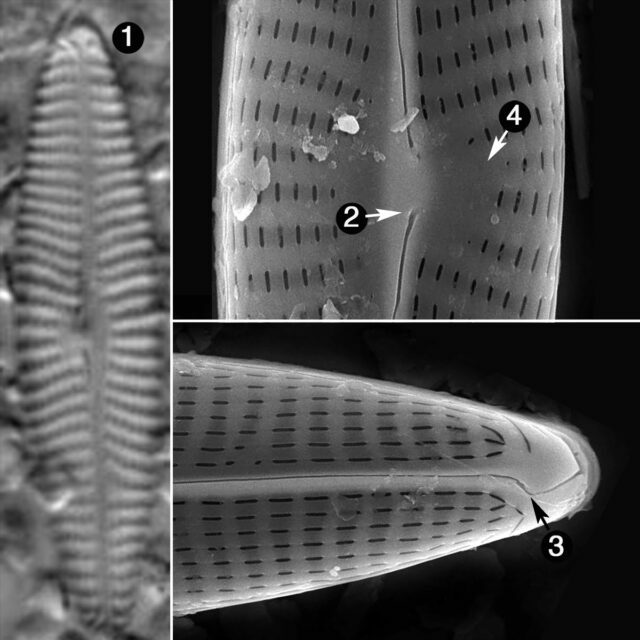 Striae number 12-14 in 10 µm and areolae number 30-35 in 10 µm. N. erifuga prefers brackish water or fresh water of high mineral content, eutraphentic. Krammer, K. and Lange-Bertalot, H. (1985) Naviculaceae Neue und wenig bekannte Taxa, neue Kombinationen und Synonyme sowie Bemerkungen zu einigen Gattungen. Bibliotheca Diatomologica 9:5-230, 43 pls. Valves are lanceolate and 21-36 µm long by 5-7 µm wide. The proximal raphe ends are deflected. The central area is both asymmetric and "bow-tie" in shape.